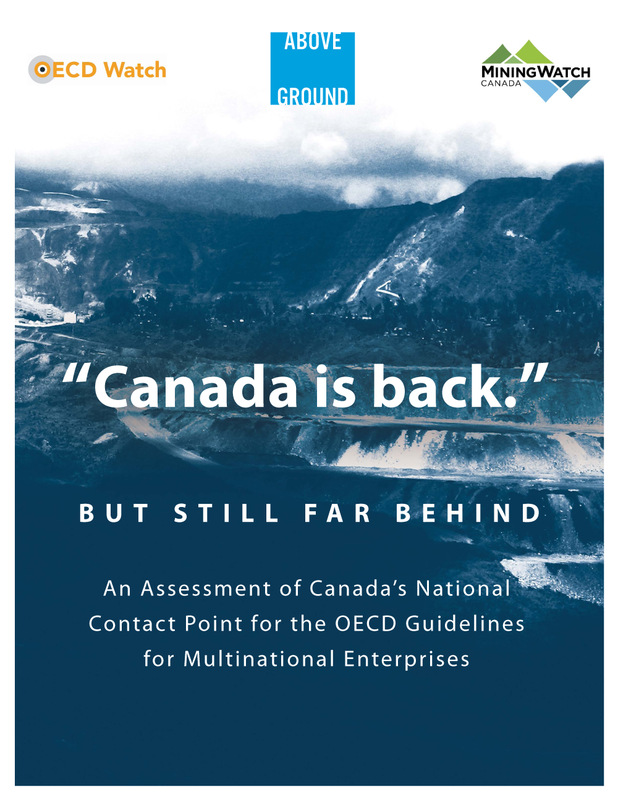 Since 2000, Canada has maintained a National Contact Point (NCP) responsible for promoting multinational companies’ adherence to guidelines for responsible business conduct developed by the Organisation for Economic Co-operation and Development (OECD). This report assesses the NCP’s performance to date, particularly with regard to harm prevention and access to remedy. It examines the NCP’s handling of five complaints concerning Canadian corporate misconduct abroad, all of which involved allegations of human rights violations and/or environmental harm associated with the extractive sector. While this report examines five cases, they are illustrative of the NCP’s approach. The process involves unjustified delays. The NCP applies a high threshold for accepting complaints. The NCP does not make findings on whether companies have breached the Guidelines. The government penalty for companies that don’t participate has proven to be ineffective in promoting compliance with the OECD Guidelines for Multinational Enterprises. The process rarely concludes with an agreement or recommendations and there are no effective follow-up procedures in place. In over fifteen years of existence, the NCP has consistently failed to provide complainants with effective remedy. The NCP’s failings, as documented here, underscore the need for Canada to move beyond voluntary grievance mechanisms and to create an independent, transparent office empowered to conduct investigations and order effective sanctions in cases of non-compliance with human rights and environmental standards. With such a binding mechanism in place, a reformed NCP may prove to be effective in facilitating conflict resolution in cases involving less complex commercial sectors and scenarios, and grievances of a less urgent or serious nature. The full report can be accessed in PDF format below. The executive summary of the report is available in Spanish and French.